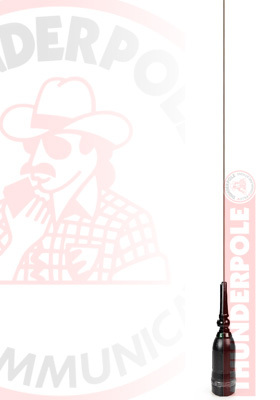 The 'Thunderpole S3000' is a high-spec antenna with extra long whip for very high performance. The heavy duty base coil is manufactured to give the antenna high power handling up to 3000 watts. It comes complete with an SO239 Body Mount, 4 metres of RG58 cable and PL259 plug fitted.